The Maine Crafts Association offers a variety of workshops, events and programs designed to enhance appreciation of fine crafts, to build technical skills and to build business development skills. A retail gallery and resource center in the historic Maine Charitable Mechanic Association (MCMA) building, known as Mechanic’s Hall, in downtown Portland, Maine. The new MCA space sells and promotes craft in Maine through exhibitions and public programming, and directly benefit Maine craft artists through sales of their work. The MCA in partnership with the Maine Arts Commission (MAC) offers a state-wide apprentice program for contemporary craft practitioners. CAP apprenticeships are paid, concentrated learning experiences for emerging craft artists who demonstrate a commitment to further their abilities as specialized craft practitioners. They accomplish this through a significant relationship with a master artist. The Maine Crafts Association presents an annual juried fine craft show in August on Congress Street in Portland, ME. The Portland Fine Craft Show features 100 exhibitors from the greater New England area exhibiting fine craft in the following media categories: baskets, ceramics, fiber, furniture, glass, jewelry, leather, metal, mixed media, paper, stone and wood. An annual statewide tour of Maine craft studios, breweries, businesses and events. MCA partners with The Maine Brewers Guild and Maine Made to produce this event modeled after Maine Maple Sunday and Buy Local Saturday: MCW encourages craft artists and related businesses and events all over the state to open to the public and take advantage of a critical mass of similar businesses doing the same thing at the same time. Includes an online participant listing and map. Retail store and gallery serves as the organizational hub of the MCA. 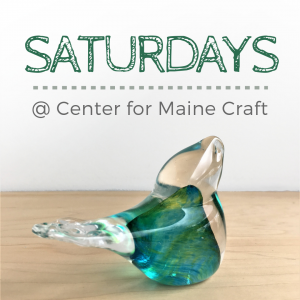 The Center for Maine Craft is open to the public 363 days of the year and provides Mainers and visitors with access to purchase Maine fine craft. The Center represents the work of over 300 Maine craft businesses and coaches artists in retail sales. This four-day studio workshop takes place annually in May offering seven workshops to the public. The Workshop Weekend serves multiple purposes of engaging artists in growing and strengthening their skills, networking with other artists from across the state and around the nation, celebrating Maine’s significant craft heritage, honoring our Master Craft Artists and hiring Maine craft artists as workshop instructors. The MCA’s Workshop Series connects Maine Craft Artists with one another and with other resources within our community. The series offers opportunities to learn something new, engage with other artists and, in for some workshops, spend time in a peer’s workspace. Based on a year of trial and error, we have changed our workshop structure from the 2018 Member to Member Workshop Series, to simply facilitating ongoing workshops on a variety of topics in different locations. These are open to non member teachers and students. The Center for Maine Craft mounts multiple solo and group exhibitions throughout the year, promoting MCA member work and/or in collaboration with regional arts organizations and like-missioned Maine non-profits. Additionally MCA collaborates with organizations and institutions mount fine craft exhibitions feature MCA members. The booth program at the New England Made Spring Gift Show offers reduced pricing, support and training and serves as a stepping stone to help artists enter the wholesale trade show marketplace without the prohibitive costs and risks of participating on their own. The shared booth program at CraftBoston Holiday offers reduced pricing, support and training and serves as a stepping stone to help artists enter the retail show marketplace without the prohibitive costs and risks of participating on their own. 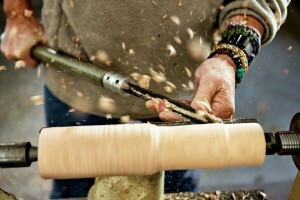 Artists in Their Studios is a photography project to document Maine fine craft artists in the spaces where they create. MCA Professional Members may apply to be selected for one a photoshoot in their workspace. Subjects receive ten images for their unlimited use. 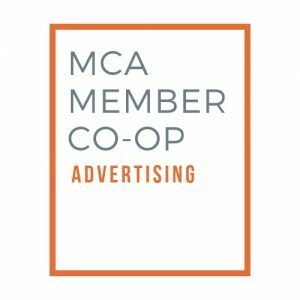 Several co-op advertising opportunities are offered to MCA members each year. The MCA negotiates low rates and passes the savings onto our members, our full page ads are featured in: DownEast, The Maine Studio & Gallery Guide, Portland Monthly Magazine, Maine Magazine and Maine Home & Design. MCA increases sales of members’ work through Etsy. Including Bangor Mall Holiday Store, Maine Mall Creative Common, West Gardiner Travel Plaza outdoor craft market, Kennebunk Travel Plaza craft markets. 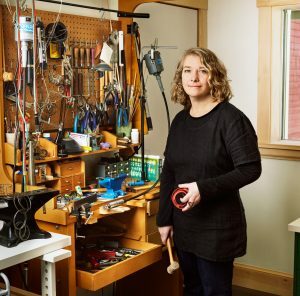 An outdoor Maine Art and Craft Seconds & Supplies Sale is held biennially at Running with Scissors in Portland, Maine, next taking place June 1, 2019. The sale provides an opportunity for the pubic and fellow artists to purchase studio supplies, materials and equipment, as well as seconds (final products not quite right for full price retail or wholesale shows and stores) directly from Maine artists. 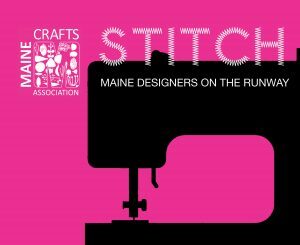 The sale is a co-production of Maine Crafts Association and Running with Scissors designed to support our members, have fun and help shift extra materials from people who don’t need them to people who do! Center for Maine Craft is the host of seasonal & holiday Pop-Up Shops featuring Maine artist-members of the MCA. Located in the West Gardiner Service Plaza, a different MCA member is invited for an exclusive showing of their work within the main lobby.